It is common canine behavior: you take your baby to a grassy area and soon s/he is sniffing around and eating delicate shoots of grass and weeds. Quite often it is promptly vomited out. Grass seems to have some sort of a soothing effect on the gastric lining of dog’s intestine- at least that’s what canine behaviorists speculate. The question most of us have is should we allow dogs to do so? Let us take a look at reasons why dogs eat grass and vomit. Dogs are born with many instincts one of which is to identify weeds from grass and edible plants from non edible ones. Thankfully, most dogs are also built in with the knowledge of what to and what not to eat as well as when to eat. The main reason why dogs eat grass only to vomit it out is to expel the unwanted stuff from their tummy. Your pet might have eaten something that does not agree with his system. The grass binds to that stuff which your pooch then vomits out. This adaptive canine behavior helps prevent indigestion and many stomach problems. 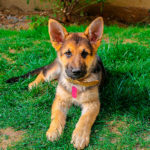 Therefore, many vets allow owners to let their dogs eat grass as longs as their pets have access to long serrated and chemically untainted grass blades. Many vets also believe that dogs eat grass since many nutrients are lost in modern food processing. Grass and herbs can provide your pet with vitamins, minerals and antioxidants that dog food does not always contain. Grass also provides roughage and fiber which helps prevent constipation. Many experts feel that canine grass eating behavior dates back to prehistoric times where carnivorous animals ate grass as well as meat. Dogs, unlike cats, are not entirely carnivorous. So some amount of vegetables, greens and fruits are beneficial to their system. This may be one of the reasons why your dog is eating grass all of a sudden. Often your dog may seem to be chewing on grass and weed. 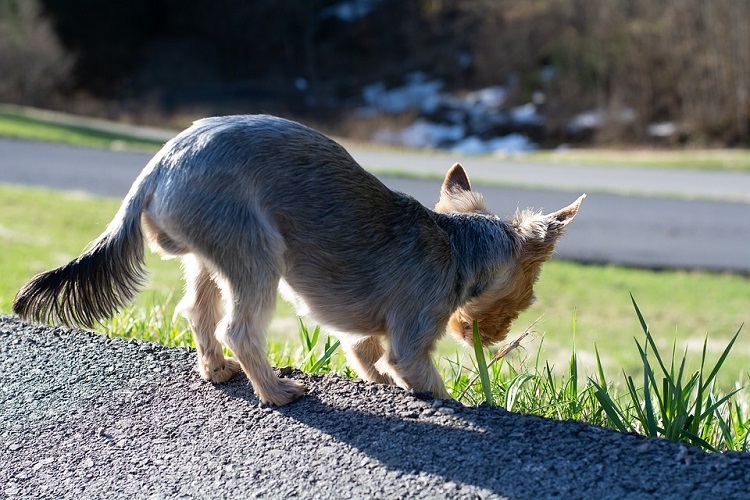 However, some canine behavior experts believe that some dogs simply sniff the grass blades to detect which animal has urinated on it or passed by it. So, it may not always be that your dog is eating grass; she or he might simply be using the grass blades for enhancing their sense of detection. Grass eating and vomiting- Should you be concerned? For dogs, grass may be the human equivalent of a salad. So you should not be overly concerned if your dog eats grass. Nor should you be concerned if he vomits it out. 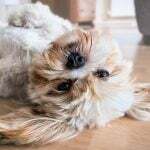 Your pooch might eat a lot of grass frantically, appear a bit uncomfortable, make some stomach movements, puke and then go back to eating grass all over again. This just goes to show that it is perfectly natural canine behavior. 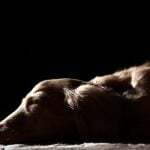 As long as your dog does not suffer from diarrhea, excess vomiting, dehydration or appetite changes, then he should perfectly fine. Sometimes dog eating grass and coughing indicates that he may be choking. The coughing action helps bring out unwanted stuff from their GI tract. If the choking persists or your pet appears restless, offer him some water. Naturally, if he continues to appear really uncomfortable or is unable to breathe, seek help immediately. If you live in an area with chemical treated lawns, or grass treated with weed killers, then you must prevent your dog from eating grass. As stated above, most dogs will avoid chemically tainted grass. Having said so; it is still important that you keep your dog away from such areas as far as possible. Dogs eating grass frantically is not always a sign that something is wrong. If your dog is eating grass all of a sudden, you need not rush to the vet. Give him a couple of days. The behavior will continue for a few days and stop. After a few weeks or months, it might start again. Talk to your vet about adding a nutritional supplement, fish oil, probiotic supplement or about changing his food. Most dogs will not resort to grass eating behavior if they get everything they need from their food. Try our homemade dog food recipes given here. Make sure you de-worm your pet from time to time or as per the schedule prescribed by your vet.